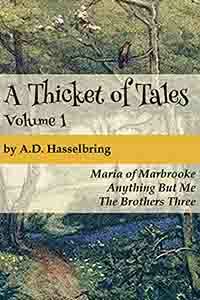 A Thicket of Tales is a series of 9 short fairy tales all with a morel. I read these to the kids I babysit and we all love them! Each story features vivid characters and situations that keep the kids interested and it is great getting to talk about the morals with them at the end and how they can learn to be like the characters. One of the these I particularly like is that adults can enjoy them as well. The language is not dumbed-down for kids, so the adult reading the story doesn’t get bored and it helps expand the kids vocabulary. 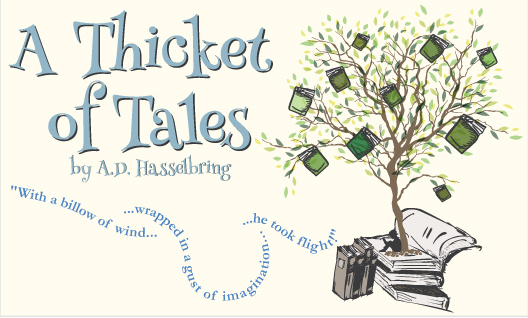 The text has a wonderful poetical quality to it without being too flowery that helps keep the kids engaged and which I can appreciate and enjoy. The stories are diverse enough to have something for all the kids (which is great when the two little ones I babysit have different interests!). There are princes and princesses, romance, action, adventure, and everything in-between. The stories come in eBook and Audio book, which is great if you don’t want to do the reading and the author, who narrates the stories, has a great reading voice. All in all I feel very good reading these to the kids because we are all entertained and I know they are learning while we have fun and would strongly recommend these stories to anyone with elementary school or younger kids to entertain!